Welcome to this week’s Indie Author Update. All of the posts this week are great. if you only have time to read a couple, make sure you read Anne R. Allen’s post as well as Rachel Thompson’s. This book is a very useful tool for writers looking to extend and reach their audiences. It has systematic detailed information about how to set up accounts and create a professional online profile and author branding. 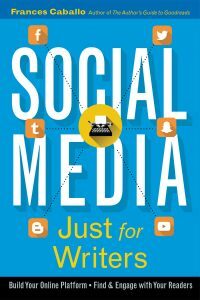 Recommended to anyone curious about why social media is still such a big thing for everyone, particularly for writers. Entice followers or fans back to your own profile. Once you’ve contributed responses on public forums, try posing some questions of your own. People who find your thoughts interesting may seek out your page or website to learn more about you and your writing. On Facebook, whenever you leave a comment or Like a post, that activity is broadcast to your fans. The same is true for Twitter, where your tweets and retweets are sent to all of your followers’ news feeds. The more fans or followers interact with you, the more opportunities your messages will have to reach more potential readers. Just as a fire slowly grows and spreads, your name as an author and news about your writing projects will start heating up the social networks. Enthusiasm is contagious. Nobody likes negativity in life or online, so be sure to stay upbeat. Your name as an author will create the brand for your book. While the latest sharp-tongued curmudgeon may grab a moment in the spotlight, you don’t want that sort of reputation for your writing career. Agents and publishers will pass on someone who has a reputation for being difficult. Being positive and enthusiastic, as well as putting in the extra time and effort to promote your name and your writing online, will make you an agent’s dream come true.